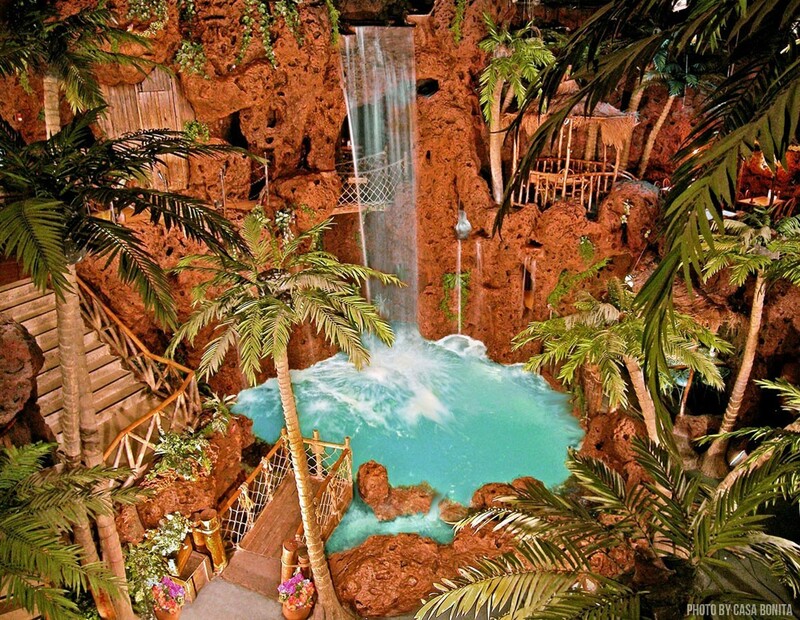 If you’ve ever wanted to see the cliff divers of Acapulco, but never made it south to Mexico, Casa Bonita Restaurant in a small suburb outside of Denver might just be the next best thing. With over 52,000 sq ft of restaurant space and seating for up to 1,000 people this tropical-themed, architectural wonder boasts a 30′ waterfall depositing into a 14′ pool, authentic cliff divers performing nightly, scrumptous Mexican food, and a video arcade for the kids. Perfect for large groups or family gatherings, Casa Bonita Restaurant is located at 6715 West Colfax Avenue, Lakewood, CO.